When the inaugural annual Concours of Elegance was established in 2012, a key objective from the outset was to be a highly successful charity fundraising initiative. In the first two years of its existence, the award-winning Concours of Elegance – held at Windsor Castle in 2012 and at St James’s Palace in 2013 – has raised more than £500,000 for charity, distributed between a variety of worthy beneficiaries. 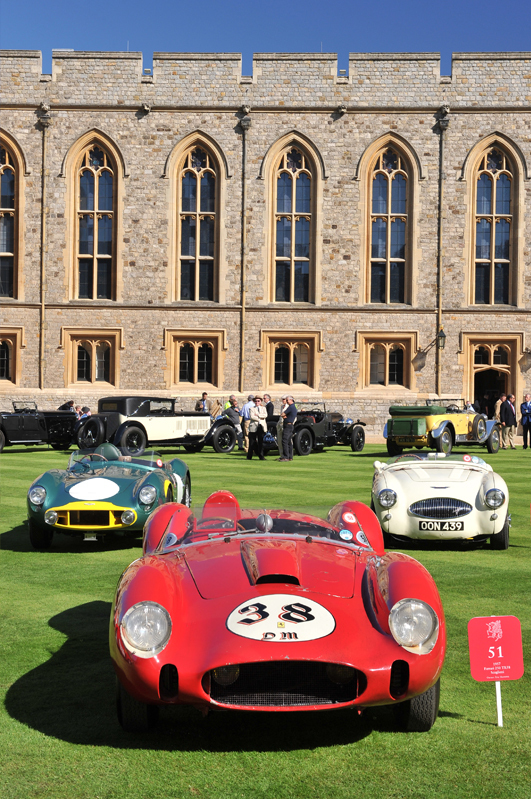 In just one month’s time – from 5 to 7 September – the historic Hampton Court Palace will be the magnificent location for the 2014 Concours of Elegance, with the aim of exceeding the generous £250,000 collected for charity in 2013. The five chosen charities and beneficiaries for the 2014 Concours of Elegance at Hampton Court Palace are Walking With The Wounded, The Springfield Club, Action on Addiction, Pilotlight and Rosetrees Trust. For the very first time this year, visitors to the Concours of Elegance at Hampton Court Palace will be able to vote for their personal favourite Concours car by text from their mobile telephone, with all the money raised going directly to the five official 2014 event charities highlighted above. All of the charitable donations so generously given contribute significantly to the event’s overall success, and help to make a real, lasting difference to the lives of so many. Working closely with Walking With The Wounded, Action on Addiction and other charities, Capstar Chauffeurs will be providing a premium chauffeur shuttle service at the Concours of Elegance. Capstar employs former servicemen and women from the British Armed Forces, with the company built around core military values to ensure it provides an exceptional standard of chauffeur experience. It is the first commercial venture of its kind to actively train and recruit former servicemen and women who have been wounded, providing employment in an industry where an injured soldier can compete on equal terms.